Congress president and UDF Wayanad constituency candidate Rahul Gandhi will arrive today night at Thiruvananthapuram. The Congress president will make a visit at the residence of late former minister KM Mani in Pala on Tuesday. Rahul is expected to reach Thiruvanathapuram on Monday night at 10 pm and will stay at Kovalam Udaya Samudra Hotel.He will address people at election campaigns in Pathanapuram at 10 am and Pathanamthitta at 11.30 am on Tuesday and expected to visit KM Mani’s residence at 4 pm.Later he will attend the election campaign at Kannur central staddium by 6 pm. 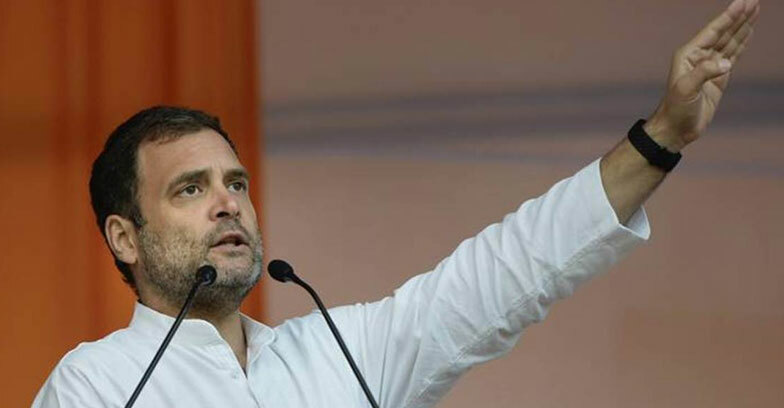 Rahul is scheduled to meet the UDF leaders from Kasaragod,Kozikode and kannur districts at Kannur stadium on Wednesday morning at 7.30 am and then shortly head to his Wayanad constituency and will address the voters at Bathery and Thiruvambadi in the morning and Wandoor and Thrithala by evening.